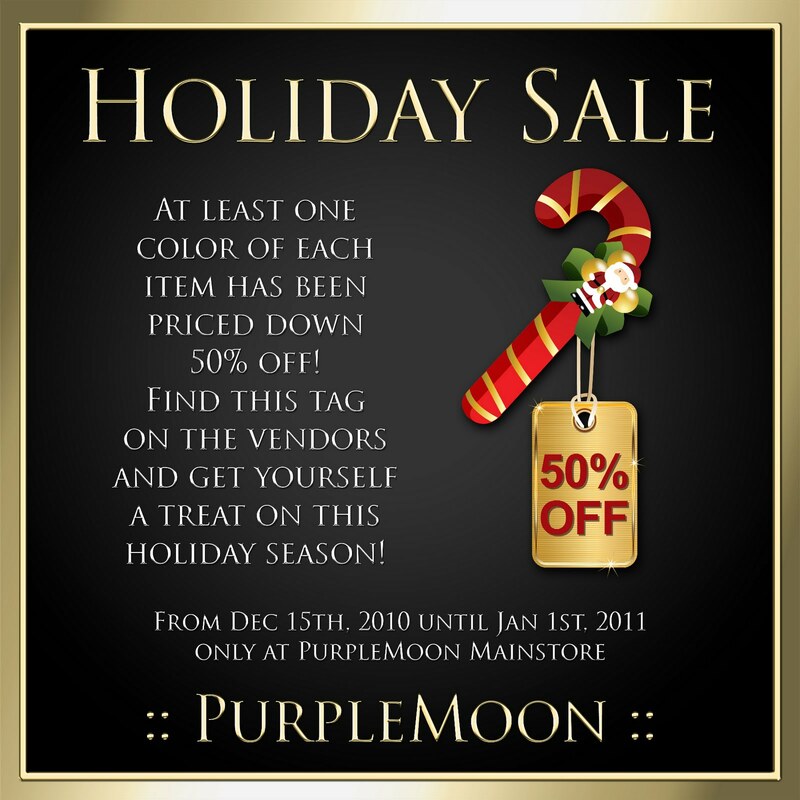 Holiday Sale @ PurpleMoon | ! *PurpleMoon Creations* ! Another special treat on this holiday season! At LEAST one color of each of our items has been priced down 50% OFF! Yes! Look for the golden tags as shown in this picture and get your favourite piece 50% off! 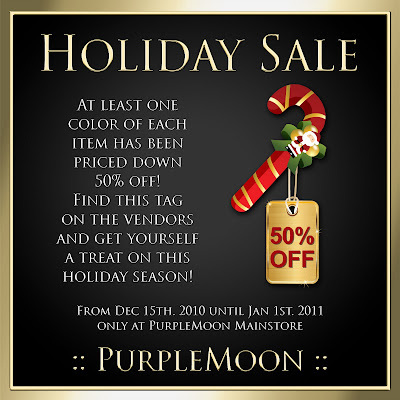 The sale will run until January 1st, 2011, starting TODAY!! *Note: The sale doesn't include items at the Bridal Section.